A simple love story about having a Lego bath. 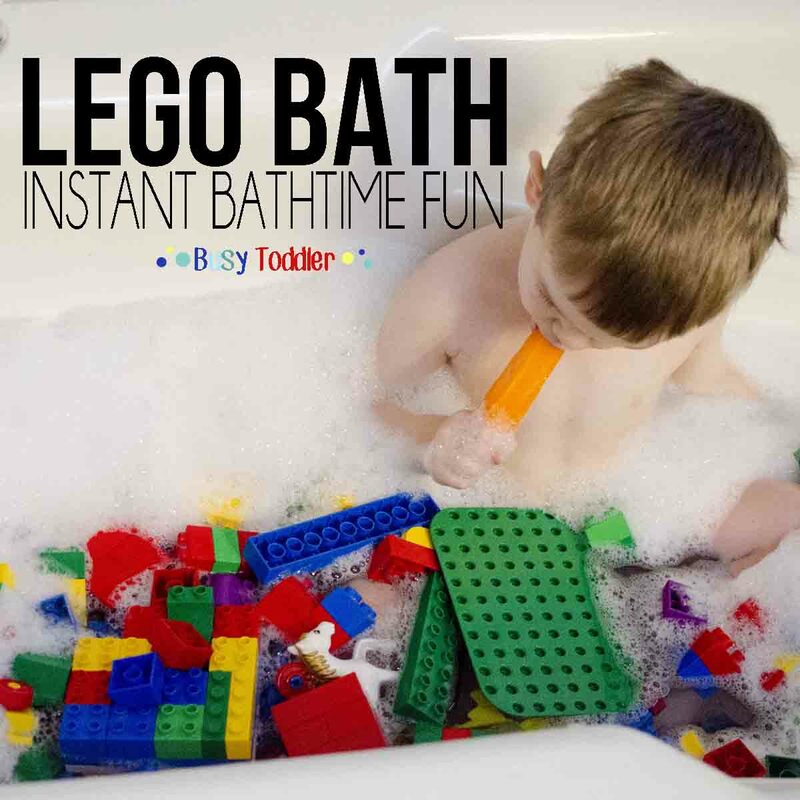 We can file this toddler bath time activity under “Why have I not been doing this FOREVER?” Because dear sweet Lego bath, where have you been all my life? Ladies and gentlemen, this activity was an absolute win for us. 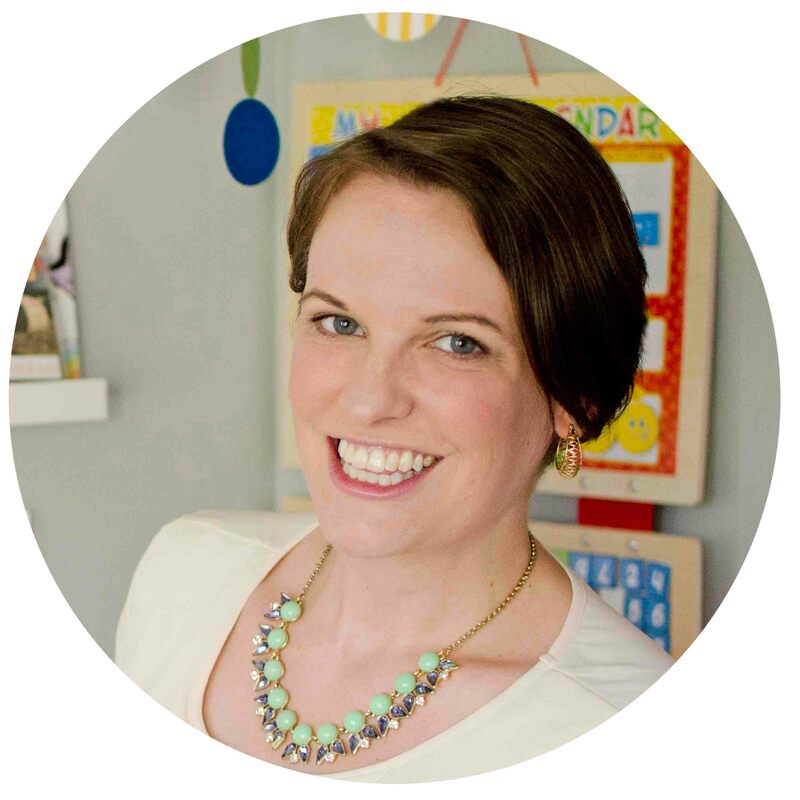 My toddler and I were having a “difference of opinion” morning (wink wink) and things were just not going well. On days like that, I like to take things back to neutral with a bath of sorts. Kind of like a do-over, a way to calm everyone down. Basically, in 90s kid language: a mid morning bath is our equivalent to blowing on a Nintendo cartridge. It’s a reset. 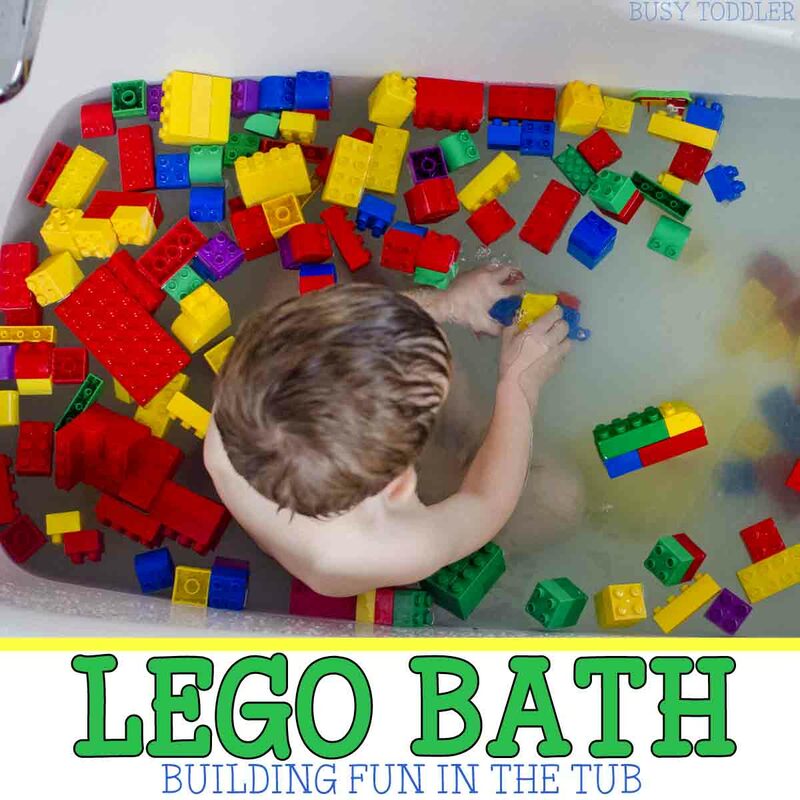 Setting up a Lego bath is pure genius. 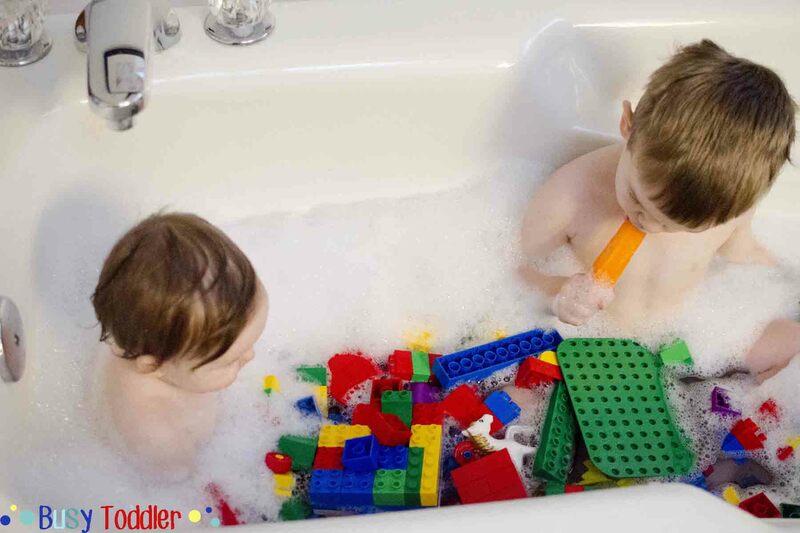 This bath time activity idea hit me like a ton of bricks: “I’ll throw his Lego bin in the bath with him and see what happens”. What happened was magical. He made boats, cars, trains, and had a tiny tea party with Lego “cups”. And FORTY FIVE MINUTES LATER (yes yes, 45 minutes! ), Prune Boy was finally ready to leave the tub. Happy, reset, and our day was saved. Hallelujah! Also a win was that the Legos actually got cleaned for once and that’s a miracle in and of itself. Oh and I got the bathroom spotless clean because what else was I going to do trapped in there for 45 minutes? This activity idea was amazing and a rare stoke of genius for me. We’ve done this on repeat ever since. I’m thinking about all the possibilities for other “toy baths”: bristle blocks, Mr. Potato Head, basically anything that needs a good washing might be headed for our tub in the coming days and weeks. I’ve even opened the Lego bath to my 1 year old now. 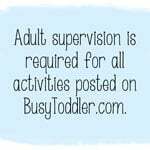 It’s always a special treat when a toddler activity can include the baby too. This is a Mom-Win if I’ve ever seen one. They both love this activity! Next time your morning isn’t going great, try a Lego bath. I can almost guarantee it will turn your whole day around. 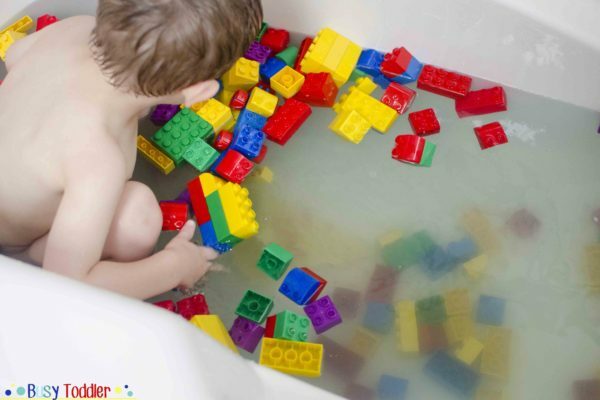 Why didn’t I think to add Legos to bath time? lol! Great idea!